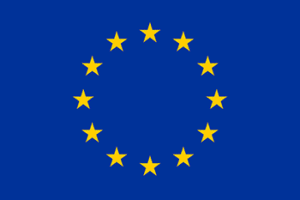 This week the long-awaited EU accessibility directive was approved by the European Parliament. Its aim is to ensure that websites, documents and apps are accessible to everyone interacting with public sector bodies. Once the directive is in force, public sector organisations across the EU will be required to make all their online content accessible. They will also have to provide accessibility compliance statements with explanations for any inaccessible content. PDFs published from 23 September 2018 onwards are covered by the directive. However, those published before that date, along with pre-recorded time-based media and the content of archived websites are excluded. Even so, the information contained in excluded formats will have to be made accessible on request. Before it comes into force the directive must first be published in the EU Official Journal. Then, member states will have 21 months to transpose it into national law, with 12 months to apply the provisions to new websites, 24 months to apply them to existing websites and 33 months to apply them to public sector bodies’ mobile apps. The Brexit vote, however, means that there is a question over whether the directive will be transposed into UK law, if or when UK leaves the EU. We will, of course, post any relevant news as and when it is available.